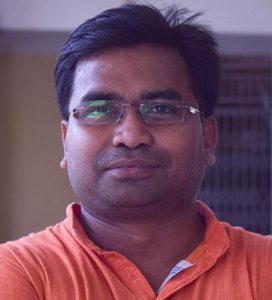 Kaushik Basu is Assistant Professor and Assistant Director at CSSEIP and teaches in Master of Public Policy Programme in National Law School of India University. He teaches economics, quantitative techniques for policy analysis. His areas of interests are Microeconomics, Macroeconomics, Econometrics, Corporate Finance. He is expert in handling large scale socio-economic data bases of India such as National Sample Survey Organisation (NSSO) datasets, Census etc. He did his PhD from Institute for Social and Economic Change (ISEC), Bangalore. He was awarded Reserve Bank of India Fellowship for completion of doctoral dissertation. He was chosen as young researcher for participation in Lindau Nobel Laureate meeting in 2011. His areas of research are corporate finance, tourism, biofuel policy, caste and religion based discrimination, measurement of poverty and inequality, municipal solid waste management, faecal sludge management, wastewater management. Prior to joining National Law School of India University, he was Sr. Lecturer in Ahmedabad University. He has also worked in the capacity of Research Officer in International Crop Research Institute for Semi-Arid Tropic, Hyderabad. He has worked as external consultants to International Labour Organisation (ILO) Arab-Emirates. He has participated in many national and international conferences and workshops. He has also published articles in many international journals.